Conveniently available at Suvarnabhumi (BKK) Airport so you have it before you even leave the country! Choose between 8 or 15 days of use! Stay connected while traveling abroad, minus the exorbitant roaming costs! 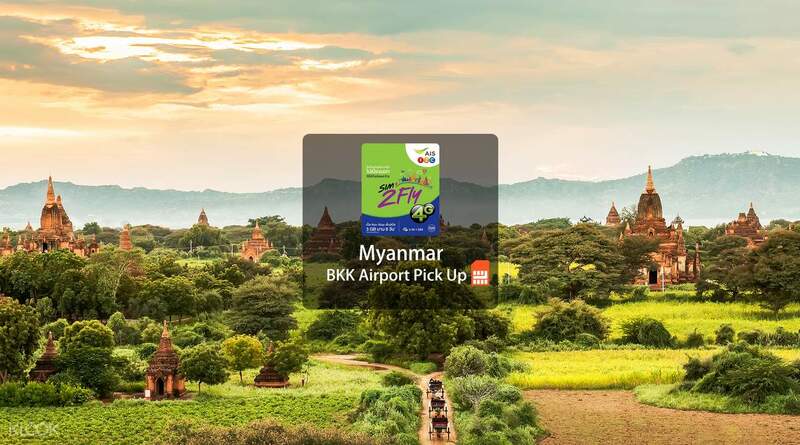 With a 4G SIM card available for pick up at Suvarnabhumi (BKK) Airport before you leave, you can go online as soon as you arrive in Myanmar. Enjoy unlimited data and send those holiday snaps to family and friends, look at maps to find the best of the best, and stay in the loop and get to access your emails even while you're away. Got the sim card at the Klook center in BKK airport. Good thing they have free wifi. Staff was polite. Got the sim card at the Klook center in BKK airport. Good thing they have free wifi. Staff was polite.